For women heading toward retirement, there's good news and bad news. The good news is they're likely to be blessed with long life. The bad news: They may not be able to afford it. That, in effect, is the conclusion of a recent study by the U.S. General Accounting Office. Despite the increase in women's workforce-participation rates over the past two decades, the poverty rate in 2010 for women 65 and older was 9% -- nearly twice the rate for men, at 5%. And while 6% of widowers lived in poverty, 12% of widows were poor. According to the GAO report, women have a tougher time saving for retirement in part because they take time out from the workforce to care for family members, and when they do work they have lower earnings than men. Other studies bear this out: Women who are 50 to 69 have about 20% less in retirement savings than men in that age group, according to a recent report by the ING Retirement Research Institute. Another report notes that while half of baby-boomer men have retirement savings of at least $200,000, only 35% of female boomers have that level of savings. Women who are five to ten years from retirement can take some steps to improve their financial readiness. Many of these moves can apply to women of all ages. Maximize your own retirement benefits. If you're looking for a new job, make sure it has a good retirement plan. It's unlikely these days that you will find a job with a pension plan that guarantees a stream of income in retirement. But you can seek out employers that will match all or part of your contributions to a 401(k) or a similar employer-based plan. A company match is free money. Even when married women are working, women tend to set aside a smaller amount of their income than men, says Suzanna de Baca, vice-president of retirement and wealth strategies at Ameriprise Financial Services. "The couple may decide that the woman's income is more discretionary," she says. "But any woman who is working should contribute as much as possible to an employer-sponsored retirement plan." If her employer doesn't offer a retirement plan, de Baca says, she should set up an IRA. Indeed, Kelly O'Donnell, vice-president at Financial Engines, which provides asset management for 401(k) plans, told the U.S. Senate Special Committee on Aging at a recent hearing that men tend to save nearly twice as much as women. "Among our clients, the median 401(k) account balance for men age 60 and older is $82,000 and only $46,000 for women age 60 and older," O'Donnell said. In 2012, you can set aside up to $17,000 (plus up to $5,500 in "catch-up" contributions if you're 50 or older) in a 401(k). If you're self-employed, you can make deductible contributions to a retirement plan, too, such as an individual 401(k). If you don't have access to an employment-based retirement plan, you can make $5,000 ($6,000 if you're 50 or older) in deductible contributions to a traditional IRA, or you make the same amount of after-tax contributions to a Roth IRA, which grows tax-free. Working longer can help maximize your Social Security benefits. The Social Security Administration uses your highest 35 years of earnings to calculate your benefit. Any zeros -- perhaps for years you left the workforce to care for children -- will pull down the average. If you keep working, you'll be able to raise your benefit -- and maybe knock out a zero or two. If you're married but not working, you can still contribute to a tax-advantaged retirement account, known as a spousal IRA. In 2012, a nonworking spouse can make a deductible IRA contribution as long as the couple file a joint return. Also, the working spouse must have enough earned income to cover the contribution. Consider long-term care coverage. Because they have longer life expectancies, women spend nearly three times what men spend on long-term-care services -- $124,000, on average, for women, compared with $44,000 for men, according to a study by the Society of Actuaries. To protect themselves against such huge costs, many women should consider buying some form of long-term-care coverage during their fifties or early sixties. You can buy a stand-alone policy, perhaps purchasing three years of coverage. But what could make more sense are newer products that combine long-term-care coverage with either an annuity or life insurance. If you never use the long-term-care coverage, you will get annuity payouts for yourself or leave a death benefit for your heirs. Also, the medical underwriting rules are not as tough for these policies as they are for traditional long-term-care insurance. Rose Swanger, a certified financial planner with ING Financial Partners in Knoxville, Tenn., recommends the annuity combination products for many of her women clients. "If you use it for long-term care, great," she says. "If not, it becomes longevity insurance down the road." Boost your survivor benefits. If you're married, make sure you're not shortchanged when it comes to your husband's defined-benefit pension and Social Security benefits. You want to make sure you will get the biggest payout if he dies first. For pensions, monthly payouts are usually paid out in one of two ways: either as a "single life" benefit that ends with the retiree's death or as a "joint and survivor benefit" that ends after both the employee and spouse die. Lifetime payouts differ for each option. A single-life option could pay out $1,600 a month until the retiree dies, for instance; the joint annuity could pay out $1,300 a month until the retiree dies, then $650 to the surviving spouse until she dies. Federal law requires the spouse to sign a consent form to waive her right to the spousal benefit. You may be tempted to take the higher, single-life payment. But if you will need the cash after your husband dies, don't sign the waiver. If you're the lower earner, you and your husband can also maximize your Social Security survivor benefit. Survivors are entitled to a benefit of 100% of the worker's benefit. When the higher earner, usually the husband, claims early, he deprives his lower-earning spouse of extra cash after he dies, especially when she is much younger. The full retirement age is 66 for those born between 1943 and 1954. If you claim at the early-retirement age of 62, as most beneficiaries do, the benefit is permanently reduced by 25%. For each year you delay claiming benefits past age 66, you get an extra 8%, plus cost-of-living adjustments, until you reach age 70. If a couple's goal is to boost the survivor's benefit, the higher earner should delay as long as he can. Learn about your household finances. With older married couples, it's not unusual for the wife to defer to her husband when it comes to overseeing investments and household finances. Only 34% of women said they were most responsible for the financial and retirement planning, compared with 61% of men, according to a study by the MetLife Mature Market Institute and the Scripps Gerontology Center. When Swanger meets with couples and encourages wives to take a more active role in the household finances, she has seen "husbands roll their eyes. They think they know best." Her message to wives: "Don't be intimidated by your husband. You can handle basic investments, too." A study by the Hartford and MIT AgeLab found that couples that share financial decisions generally save more for retirement than couples in which one spouse takes charge of investments. These couples also are most likely to have created a plan that assures the financial security of the surviving spouse. 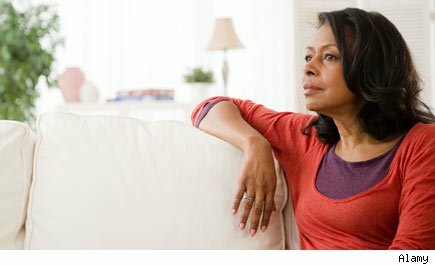 Consider this suggestion from Cindy Hounsell, president of the Women's Institute for a Secure Retirement, a Washington, D.C., education and advocacy group: Schedule a "really nice dinner" as a reward for a one- or two-day session in which both spouses get up to speed on all aspects of the household finances, including investments, insurance policies, beneficiary designations and the location of all information. The collaboration shouldn't end at dinner, but both spouses should continue to work together on savings and spending issues, Hounsell says. She says she has seen many new widows without a clue of what to do. "You need to have a bird's eye view of all the details, so that you are prepared to take care of this yourself," she says. Demand a fair share in divorce. Divorce among couples 50 and older is at a record high. In 2009, about 25% of people who got divorced in 2009 were 50 and older, compared with about 10% in 1990, according to a report this year by two sociologists at Bowling Green State University. It is essential for divorcing women to negotiate a fair share of retirement assets. Under state laws, a pension earned in retirement is a joint asset. If both spouses have retirement accounts, one route is to "equalize" the assets so that each spouse gets half of the total. There's a persistent assumption going around about what happens after one retires: Pundits, financial planners and even retirees often claim that your spending shrinks after you leave the 9-to-5 world. Sure, your house may be paid off by then, and you may be able to ditch the expenses of commuting and buying clothes for work. That's not the full picture, though. In good and not-so-good ways, many people end up spending more than they expect during their golden years. For lots of folks, retirement means finally getting around to doing things you've been putting off for years. And those things cost money. You may finally do some traveling in Europe, for example, or explore the U.S. in an RV. Want to get serious about your love for curling? Joining a league costs some money. Looking forward to overhauling the garden or taking up woodworking? That'll cost you, too. Even just traveling to visit and spend time with the grandkids can add up -- in travel costs, dinners to treat the family, and gifts and ice creams for the young ones. Of course, you don't have to bear these costs. You can let the children and grandchildren come to you and can spend more time in public libraries than on golf courses. But the early years of retirement, in particular, are when folks tend to have significant energy and lots of plans. Unfortunately, many expenses in retirement are not so discretionary. Health care, for example, can take a huge bite out of your nest egg. Fidelity Investments recently estimated that a 65-year-old couple retiring today can expect to pay, on average, about $230,000 on health care. That's just an average, so you might spend far less -- but you could also spend much more. Medicare probably won't provide sufficient coverage, so you might need to buy supplemental insurance, which isn't usually cheap. Meanwhile, though a lower income level will probably mean your income taxes will decrease, you'll still be on the hook for property taxes. And those will probably keep growing over time. If your annual property tax is $3,000 and it grows at 3% each year, it will hit $5,400 in 20 years. Your home insurance costs will rise, too, along with your car insurance premiums, the cost of heating and cooling your home, groceries, and most other items. And finally, whereas you might expect retirement to be a time when you're no longer raising children and supporting those dependents, you might still find yourself occasionally -- or routinely -- helping your loved ones out financially. Still, the news isn't all bad. While you might spend more than you expected to once you retire, you probably won't keep it up. As we move into and then out of our 70s, people tend to slow down and be less active. Less travel, less eating out, and fewer hobbies can mean lower spending. Throughout most of our retirement, we'll enjoy discounts on various expenses, too, such as movie tickets, meals, and even property taxes. Don't let your retirement plan end up designed by assumptions you never questioned. Take some time to map out what your expenses may be in retirement, and to make sure you're saving, investing, and accumulating enough to support them. If it looks like you're not quite where you should be, you have options. You can ramp up your saving and invest your money more effectively. (Yes, you can become a millionaire on a minimum-wage salary.) You might work a few more years before retiring, too, which can do wonders for your nest egg by boosting your Social Security benefits. Another possibility is working part-time through part of your retirement, which can add income and possibly some useful benefits as well. It also keeps many retirees happier, giving them a social setting to belong to. Downsizing to a smaller home or moving to a less costly town or region can also make a difference. Spend some time planning now, and you'll thank yourself later. AARP's Top 10 Best Places To Live (and Retire) Affordably in the U.S.
America's 10 Highest Paid CEOs: Which Are Worth the Money? You should not necessarily forgo your right to the retirement pension income stream in exchange for the house. You could end up with a mortgage, property taxes and maintenance costs that you can't afford -- and be forced to sell in a declining real estate market. "A pension will bring in money for the rest of your life, but a house will have the costs that houses have," Housell says. If you plan to ask for a share of your husband's employer-based retirement benefits, make sure you get a court order, known as a qualified domestic relations order, in addition to the divorce decree. The QDRO gives legal permission to the plan sponsor to disburse funds to the ex-spouse. Also, you could be entitled to Social Security spousal or survivor benefits based on a former husband's earnings record. To be eligible for such benefits, you must have been married for at least ten years and not be entitled to a higher benefit based on your own record. To collect a spousal benefit based on an ex-spouse's earnings record, you must be 62 and unmarried. To collect a survivor benefit on a late husband's record, you need to be at least 60 (or 50 and disabled); your benefits could continue even if you remarry. In the case of a spousal benefit, your ex does not need to know you've made a claim. He must be eligible for benefits (that is, 62 or older), though not necessarily claiming, before you can apply. Quiz: Are You Saving Enough for Retirement?